Imagine this, you’re ENGAGED…you have the ring of your dreams! Now it is time to move onto the next step of this exciting time in your life…the planning process…bringing the vision you have always dreamed of to life! This is often the time when couples can feel overwhelmed. 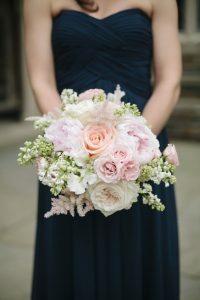 Can your dream colors help you pick the date of your wedding; or can your date help narrow down all of the wonderful color choices available to you? 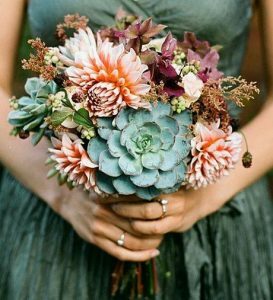 When a couple has a color vision but not a date, seasonal wedding colors can help bring everything together. This can also work in the opposite direction. You could already have a color scheme but no idea of what date to choose. Using the period of time when the colors are going to be available at your fingertips is going to help reduce stress during the process. This is the day many brides/grooms have been dreaming about since they were old enough to remember. Why limit choices on everything you have always imagined because your color scheme is not in season? If you are envisioning a refreshing look for Spring, Tropic, Classic Gray, Ivory, and Rain are your colors. This time of the year flowers are starting to bloom and everything comes back to life after a long winter. These colors remind us of a newly refreshed start on the next chapter in a couple’s life. Summer is the time for daydreams and thinkers, to be able to sit outside and enjoy the sounds and the warm breeze of the new life that was brought to us during the spring. For all of the daydreamer couples, the best seasonal colors during this time are Tea Berry, Ivory, Custom Blue, and Classic Gray. As the leaves begin to change and the air becomes crisp, Fall begins to welcome us with its beautiful natural background. Everything around us becomes the smells of fresh cinnamon with apple pie or perhaps the refreshing smell of Pumpkin spice. 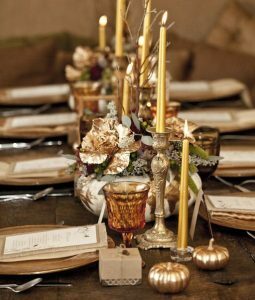 Fall brings us the seasonal wedding colors of Sage, Pumpkin Pie, Faded Black, and Antique Gold. At last, we move into the most wonderful time of the year when the date of this time period can be very crucial to your color selection. First, we start off the season with family and friends the smells of pine and cinnamon all around us. This is a time of togetherness and tradition. December starts off the season with a warm inviting color scheme giving a spiced look with the colors of Burgundy, Champagne, Cream Rose, and Blush. 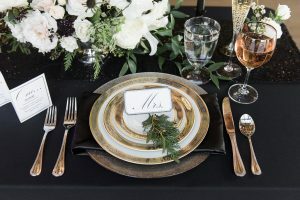 For those who are looking to get married in a time when everyone has a fresh start, new goals, hopes, and dreams, couples can go with the glistening look of Gold, Champagne, White, and Custom Tan. 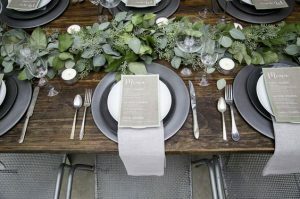 For more information on seasonal wedding colors and event designs…check out our portfolio!